The advent of Oculus VR , & Samsung Galaxy gear has further boosted the VR craze started by Google Cardboard and other VR Headsets. The popular formats used for watching videos are either SBS (Side By Side 3D) and 360-Degrees. As of now popular media players for Android like MX Player & VLC do not support VR Media Playbacks. So here are the top Free VR Media Players for Android/iOS phones to watch VR Videos. These VR Video Players can not only be used to watch 360 or 3D Videos but you can even watch your 2D Movies video clips on your VR Glasses by using these VR Players. When it comes to Virtual Reality its best viewed when it becomes more realistic as possible. 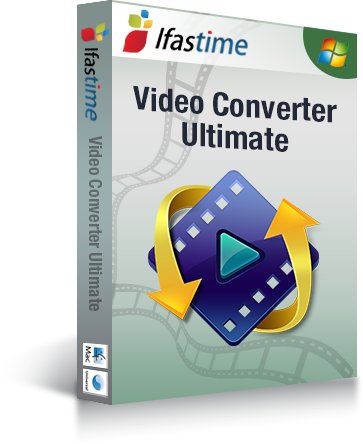 VR Gesture Player is one such VR Media player which makes watching videos a great experience. The most Striking feature of VR Gesture Player is that on open VR Glasses, you can use your hand to control the Videos as shown in the below image – Not only does it track your hand gestures but you can even type on it using your hand, and control videos. Besides, allowing Videos to be controlled by hand gestures, it can even play 2D Videos in Side by Side playback so that you can watch even 2D videos in your VR Glasses. Besides, being a VR player it can smoothly play 3D Videos & 360 Videos as well. 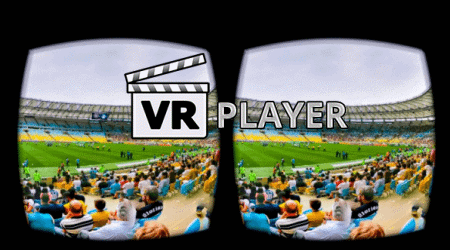 VR Player Free is a free an easy to use VR Player which can play various VR Video formats. You can use it to Play 2D , 3D SBS , 3D Top/Bottom Videos on your Android phone. Besides being able to play 2D SBS Videos, it can even play 360 degree videos. Also the various projections methods present in VR Player free such as Sphere , Dome , Cube will give a realistic 360 Degree Imax theater experience right on your Android Phone! AA VR Cinema is another free alternative VR Cinema player for Android and gives a variety of playback options to play normal as well as 360 3D VR Videos. The most striking thing about AAA Cinema which we liked the most is its head-tracking technology which works by tracking your head movement drift. Thus, you can watch VR videos even without Gyroscope sensor if you have AAA VR Cinema app which is simply great. Not to forget the host of features it provides to watch VR videos on your Android like 180-degree panorama, 360-degree playback which not many apps provide. VR TV Player free is a similar app to VR Player free but the UI is a bit modest, but the clean and minimalist UI works wonders when it comes to Smoothness in Playback. Not to mix the minimal User Interface but it provides almost all the important features required to Play VR Videos like projection type : Flat , Dome, Cube , Cylinder. As well as it supports 2D Video playback alongwith the 3D VBS, and 360 formats. The Best feature we found out in our tests was the “Fish eye” mode under the “projection” tab of video we are playing. The Fish eye mode splits any video in such a way that it gives the least concussion or strain to the eyes if the distance between pupillary lens is properly adjusted on VR headset. The “fish eye” mode really made it great on our small-screen sized android device. Homido Video Player comes from an VR Headset maker itself and consists of various multiple features. Not only it can play VR , 2D Videos alongside 360 Side By Side formats, but it even tries to project normal 2D Videos as 360 videos if the option is selected. The result widely depends upon the video type, but we managed to get a real decent 360 degree experience on lesser-resolution 2D Videos. Besides, this Homido VR Player also contains an inbuilt web browser thus, you can even browse Internet in your VR Glasses or Cardboard. The method to give inputs to Homido is dependent on Head tracking and thus requires Gyroscope enabled. Thus, these are the best 5 Free VR Video Players for Google Cardboard & others (Homido VR, Agnus VR, Procus VR, Freefly VR, Galaxy Gear, Oculus VR) on Android which we came across, we will keep updating this list as new apps are launched because VR apps are constantly coming . If you know of any other such good VR Video Player for Cardboard feel free to comment. Homido itself is a VR headset maker and it has its 360 VR Videos player app too!. The Homido 360 VR Player is a really cool app for iPhone users to watch 3D SBS & 360 VR Videos. Besides, if you want to play movies inside Homido , you will need to copy them to the Homido App folder using any of the iPhone File Explorer browser app like iBrowse. Carl Zeiss one of World’s best lens maker recently came out with a VR Headset and Carl Zeiss VR One Cinema app comes directly from the company. The App works with almost VR Headsets such as Google Cardboard, FreeFly VR, Agnus VR on iPhone series and gives a virtual cinema hall experience for viewing videos. Its perhaps the easiest apps we came across to view VR Videos, but it downscaled the Videos while playing them. Hence, it stays third on our list until we find a good app. Samsung Galaxy S7 vs Sony Xperia Z6: Which is the bigger deal?